I’ve been searching for a new eyeliner for absolutely ages and I’ve never got round to actually buying one because to be honest they’re quite frightening, or is it just me that thinks that? Anyway, I finally spotted this beauty in Boots and had to pick it up and give it a go. Now I’m not sure if this is new to L’oreal, as it was with all the other new products but I couldn’t find anything about it online. Someone let me know. So this retails for £6.99 which I think is so reasonable and such a good price for this little gem of an eyeliner. 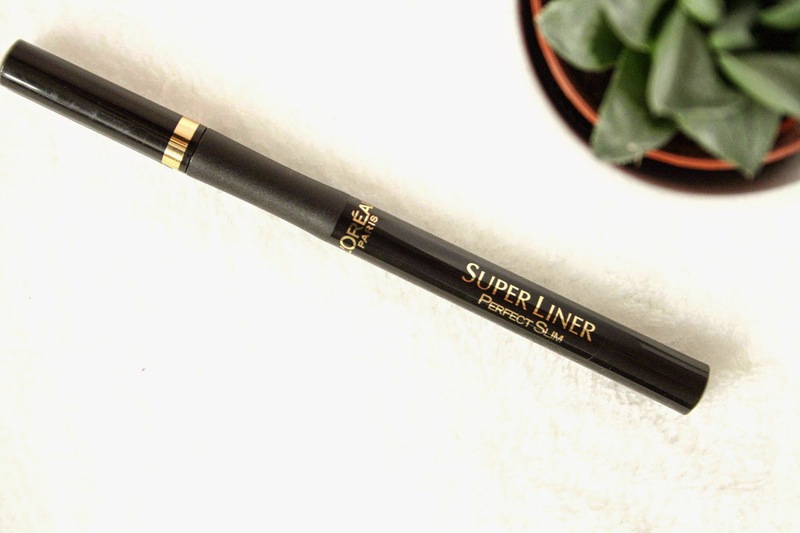 The thing that really caught my eye was the ‘perfect slim’ part, and I am not a lover of really thick eyeliner, I like a nice thin precise line. So if you also like that you’ll love this. I previously attempted to use Benefit Push Up Liner, which looking back now was such a struggle to use, especially to create a cat eye flick. On my first attempt with using this I managed to create a pretty decent cat eye, so I was immediately impressed! What I also really liked was that if I made a slight mistake it was very easy to quickly get rid of it with my finger before it dried. If that makes any sense, haha. Also as you can see from the picture, it has a grip to hold onto when applying which is SO helpful, so the pen doesn’t slip out of your hand and it helps you to create a more precise line. Its definitely not a pain to get off either, you’re not scrubbing at your eyes for ages until they get all irritated and sensitive. 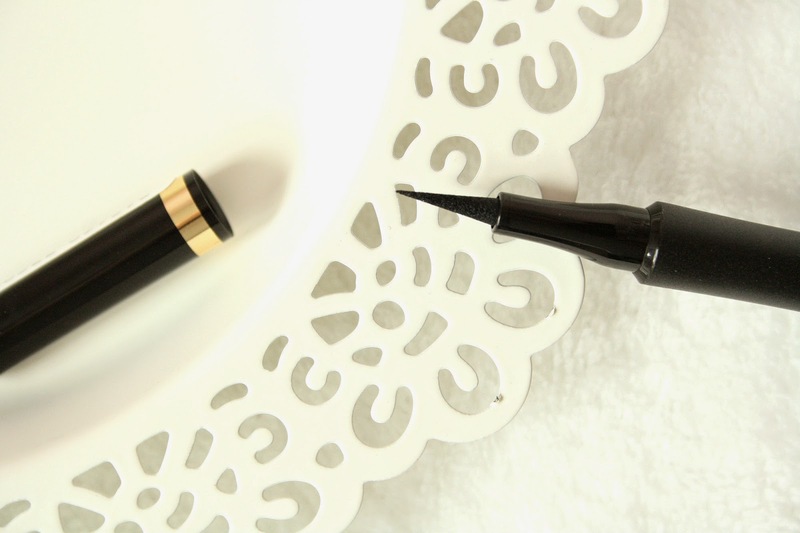 Overall this is an amazing drugstore eyeliner, definitely worth a try for any new comer to eyeliner, or even if you’re an eyeliner fanatic! Love, love, love.